Biddeford hockey fan Kathy Hooper isn’t expecting any surprises when Portland’s new ECHL franchise announces its name Friday afternoon. 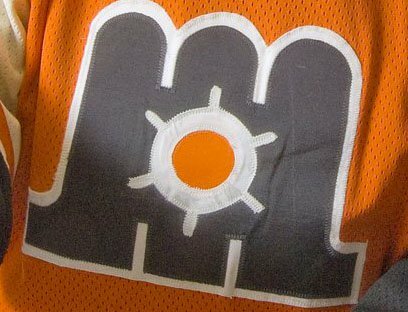 The Maine Mariners wore orange, black and white when they started play in Portland in 1977. The city could soon have another Maine Mariners team. Sure enough, Portland Hockey LLC secured a trademark on “Maine Mariners” for clothing and merchandise related to an ice hockey team. The filing date with the U.S. Patent and Trademark Office was Aug. 28, less than two weeks after the franchise launched a campaign allowing fans to vote for their favorite nickname among five choices, including Mariners. None of the other four nicknames – Lumberjacks, Watchmen, Puffins or Wild Blueberries – is trademarked for hockey purposes. So it’s Mariners, for certain? Not necessarily, said Adam Goldberg, vice president of business operations for the franchise, which is scheduled to begin play in October 2018. The conference call included Philadelphia Flyers President Paul Holmgren, Vice President of Hockey Operations Danny Briere and Comcast Spectacor executive Mike Scanlon. Comcast Spectacor, parent company of the Flyers, bought the ECHL’s floundering Alaska Aces in June and announced plans to relocate the franchise to Cross Insurance Arena, which it also manages. Maine Mariners was the name of Portland’s original pro hockey team, an American Hockey League franchise that began play in 1977 at the downtown civic center. The franchise moved to Providence, Rhode Island, in 1992. The Portland Pirates filled the void in 1993 and played in Maine until moving to Springfield, Massachusetts, in the spring of 2016. 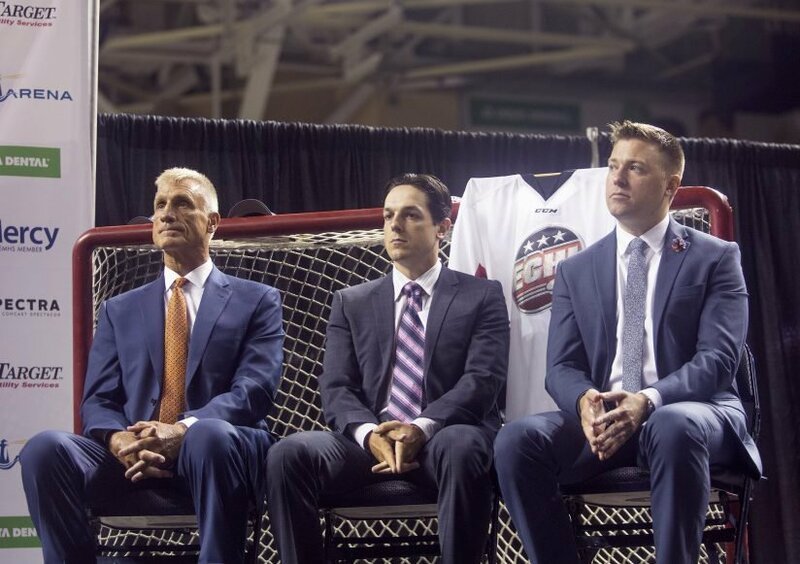 Goldberg said the previous owner of the Maine Mariners trademark, developer Michael Liberty, agreed to relinquish it in a process handled by Comcast Spectacor’s legal department. The team did secure a domain name and social media handle for each of the five options, he said. Management had announced a name-the-team contest in July, and from 3,805 submissions unveiled five finalists in August, encouraging fans to vote for their favorite. The most popular submission was Mariners. In an informal Portland Press Herald poll not affiliated with the contest, 46 percent of 3,365 respondents opted for Mariners. Watchmen was second at 17 percent, followed by Lumberjacks (14 percent), Puffins (14 percent) and Wild Blueberries (12 percent). Goldberg said the team’s poll received 18,000 votes – limited to one per Internet Protocol, or IP address. That information allowed the team to see where the votes came from, particularly which votes came from Maine. Goldberg had said earlier that fan voting would be used as a guide for, rather than to determine, the team name. When the finalists were announced in August, Ryan Peters, known better as the rapper Spose, immediately took to social media, imploring his followers to vote for Wild Blueberries. He added hashtags GoBloobs and GreatestTeamNameOfAllTime. Spose envisions the team using shades of blue similar to those worn by University of Maine athletes. Hooper, the longtime fan from Biddeford, was hoping for something fresh rather than a throwback to the past.